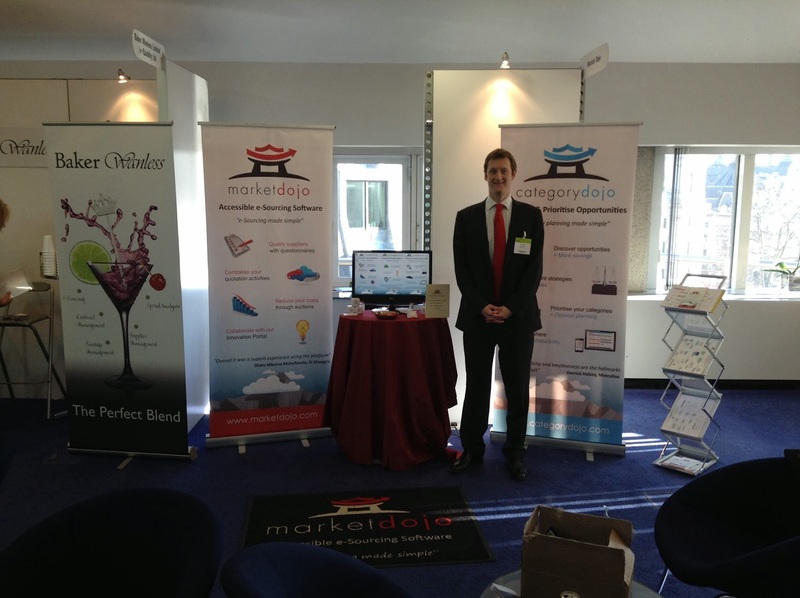 We recently returned from another fantastic eWorld event in Westminster. The most noticeable difference for us between this event and previous ones was the absence of Market Dojo co-founder, Alun Rafique. Alun and his wife Justyna are expecting their first child imminently and so a trip into central London was strictly off the cards, as you can imagine! Having to make do with two of us on the stand, quite simply we were overcome by the sheer quantity of great discussions with passing delegates. For any of you who approached our stand and did not have the chance to talk to us, we apologise profusely! If it is any consolation, we missed the 2pm cut-off for hot lunches and had to make do with a chicken wrap and fruit salad for nourishment shortly before 3pm! We’ve learnt our lesson and will ensure we have more colleagues on hand next time. Implementation: how to implement the tender outcomes, as post-tender all you have are a set of figures on a computer screen and some supplier names. Here we outlined how you implement those results and even enhance them in the process. The seminar, which was held concurrently with other events, was very well attended with all 80 chairs taken and some attendees even standing at the back! eWorld are excellent at providing detailed feedback from delegates so we look forward to learning from that in due course. For those of you who couldn’t make it, or if you’d like to own a copy of our presentation, you can download a PDF copy here (please first sign in or sign up to Market Dojo for the link to work). It’s also great to see that eWorld have taken on board their own feedback and have provided free tea and coffees, which was possibly the most popular event of the day! The queue snaked past our stand, which provided us a captive audience to engage with. I hope we made your waiting time fly by! Thanks again to all of you who came by and we look forward to a repeat event in September.